Dr. Tolani received her medical degree with honors from New York University School of Medicine. She completed her internship, medical residency and her fellowhip in cardiovascular medicine at Columbia University Medical Center in New York City. As part of her cardiology fellowship, Dr. Tolani spent several years studying the interplay of cholesterol and inflammation and how this interaction impacts atherosclerosis. Her research has been published in core journals including Atherosclerosis, Journal of Clinical Investigation and Journal of Immunology. 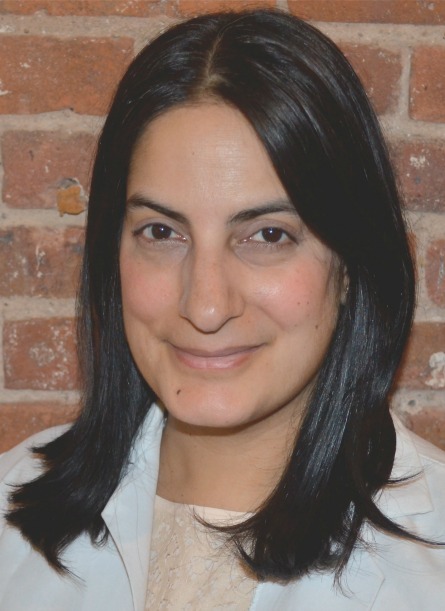 Dr. Tolani is part of the ColumbiaDoctors Hypertension Center and she is the co-Director of the Columbia Women's Heart Center, a unique program focusing on providing state of the art treament and preventative care to women of all ages. In addition to her clinical work, Dr. Tolani is also working on developing digital tools to better educate health care providers about heart disease in women and to improve heart disease awareness in women gobally. Dr. Tolani's areas of expertise include consultative cardiology, preventative medicine and women's heart disease including the treatment of gestational hypertension and preeclampsia. She is board certified in Internal Medicine, Cardiology and Echocardiography. Tolani D, Pagler T, Murphy AJ, Bochem A, Abramowicz S, Welch C, Nagareddy P, Holleran S, Hovingh GK, Kuivenhoven JA and Tall AR. Hypercholesterolemia and reduced HDL-C promote hematopoietic stem cell proliferation and monocytosis: studies in mice and FH children. Atherosclerosis. Accepted, in final revision. Murphy AJ, Akhtari M, Tolani S, Pagler T, Bijl N, Kuo C, Wang M, Sanson M, Abramaowicz S, Welch C, Bochem A, Kuivenhoven JA, Yvan-Charvet L, Tall AR. ApoE regulates hematopoietic stem cell proliferation, monocytosis, and monocyte accumulation in atherosclerotic lesions in mice. J Clin Invest. 121(10): p. 4138-49, 2011. Pillinger MH, Marjanovic N, Kim SY, Lee YC, Scher JU, Roper J, Abeles AM, Izmirly PI, Axelrod M, Pillinger MY, Tolani S, Dinsell V, Abramson SB, Blaser MJ. Helicobacter pylori stimulates gastric epithelial cell MMP-1 secretion via CagA-dependent and -independent ERK activation. Journal of Biological Chemistry. 282:18722-31, 2007. Pillinger MH. Marjanovic N. Kim SY. Scher JU. Izmirly P. Tolani S. Dinsell V. Lee YC. Blaser MJ. Abramson SB. Matrix metalloproteinase secretion by gastric epithelial cells is regulated by E prostaglandins and MAPKs. Journal of Biological Chemistry. 280:9973-9, 2005. Pillinger MH. Dinsell V. Apsel B. Tolani SN. Marjanovic N. Chan ES. Gomez P. Clancy R. Chang LF. Abramson SB. Regulation of metalloproteinases and NF-kappaB activation in rabbit synovial fibroblasts via E prostaglandins and Erk: contrasting effects of nabumetone and 6MNA. British Journal of Pharmacology. 142:973-82, 2004. Pillinger MH. Rosenthal PB. Tolani SN. Apsel B. Dinsell V. Greenberg J. Chan ES. Gomez PF. Abramson SB. Cyclooxygenase-2-derived E prostaglandins down-regulate matrix metalloproteinase-1 expression in fibroblast- like synoviocytes via inhibition of extracellular signal-regulated kinase activation. Journal of Immunology. 171:6080-9, 2003. Mongini PK. Jackson AE. Tolani S. Fattah RJ. Inman JK. Role of complement-binding CD21/CD19/CD81 in enhancing human B cell protection from Fas-mediated apoptosis. Journal of Immunology. 171:5244-54, 2003. Mongini PK. Tolani S. Fattah RJ. Inman JK. Antigen receptor triggered upregulation of CD86 and CD80 in human B cells: augmenting role of the CD21/CD19 co-stimulatory complex and IL-4. Cellular Immunology. 216:50-64, 2002.